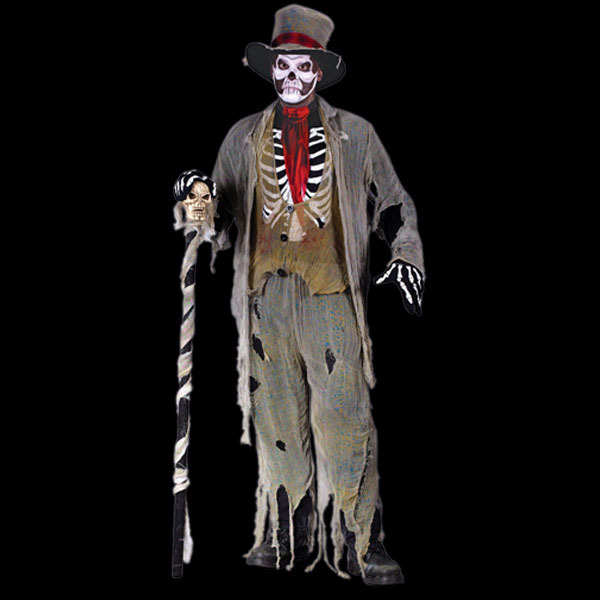 We will send an email to as soon as the product Grave Groom zombie horror Costume is available. A fantastic seven piece Grave groom horror costume. Costume includes long sleeve black shirt with skeleton bone print front. Also included is a tattered gauze vest with faux buttons, matching gauze torn look jacket and elasticated gauze pants to be worn over your trousers.